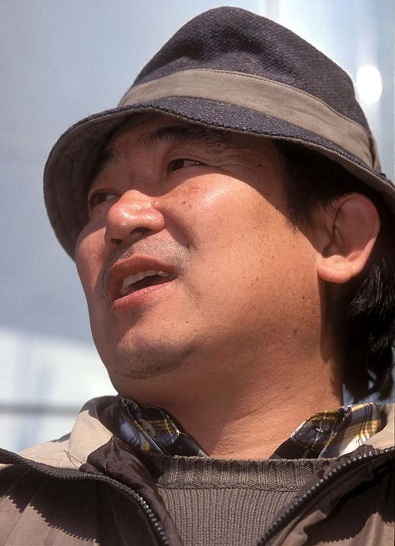 Kim Dong Won is a renowned documentary filmmaker and producer, based in Korea. He also heads P.U.R.N. productions, a progressive documentary video collective which aims at participating in the social movement to give voice to the grassroots. He graduated from Sogang University, majoring in mass communication, and started his career as an assistant director in commercial film business in 1982. Influenced by Korea’s democratic movement in 80`s, Dong Won developed a penchant for social documentary. Since 1988 he has produced and directed more than 10 documentary films about the urban poor, reunification, environmental issues. His works include “63 Years On” (2008)*; “If You Were Me 2” (Daseotgaeui Sisun) (2005); “Repatriation” (Songhwan) (2004)*; “Strong fist family” (Chulkwon-ghajok) (2001) and Myungseong, the record of six days (Myungseong, ku yook-il-ui kirok) (1997). Kim`s 1988 film Sanggye-dong Olympic was the first Korean movie that was invited to the Yamagata International Documentary Film Festival and initiated a new era in Korean documentaries, widening the areas in which the independent film could explore. He made Sanggye-dong Olympic (1988) when a priest who was close to him asked him to film the demolition of houses in Sanggye-dong. The film in its time was considered a fresh approach to documentary filmmaking where the observer (the director) became one with his subject(s). Kim Dong Won established P.U.R.N production in 1991 and has been working as its chief director since then. P.U.R.N offers a count-point to dominate mainstream journalism in order to give audiences a more balanced sight on history and society. Since its inception, the collective has documented over 20 various social conflicts, such as, reunification, labour movement, urban poor and eviction, pollution, prostitution etc. Dong Won has also been teaching at the Korean National University of Arts, since 2007.